A great winter coat is more than a staple, it can represent a significant investment—one that bad weather conditions can wreak havoc on. When this happens, don't feel down! With the proper care and easy maintenance, your down, fiber fill, and synthetic blend coats can make it through the longest of winters and still look fresh. 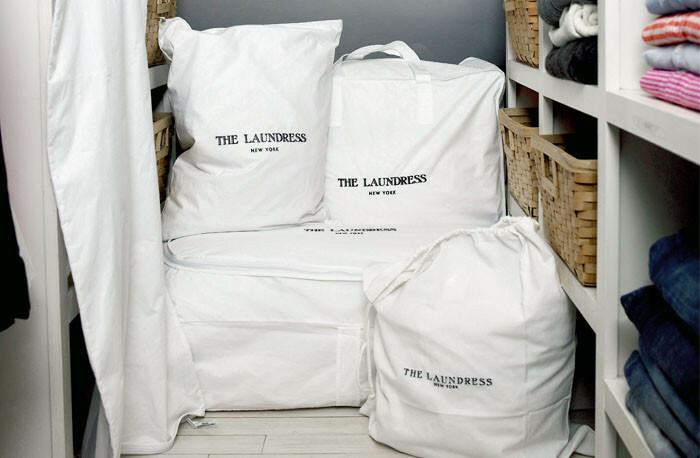 For best results, follow our washing steps once a season, and always before seasonal storage. Use Stain Solution to pretreat and remove stains before laundering. 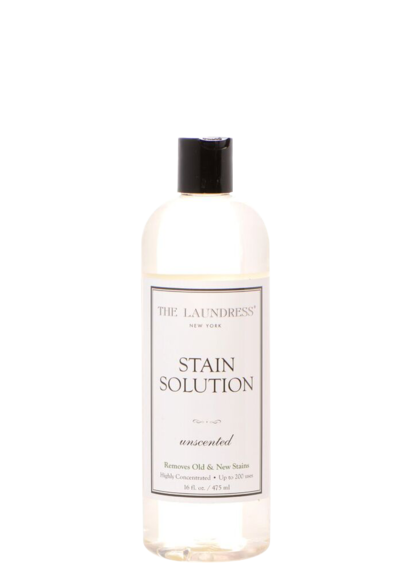 The Stain Solution is formulated to break down red wine, coffee/tea, ink, grass, blood, and old, set-in stains such as pit stains. 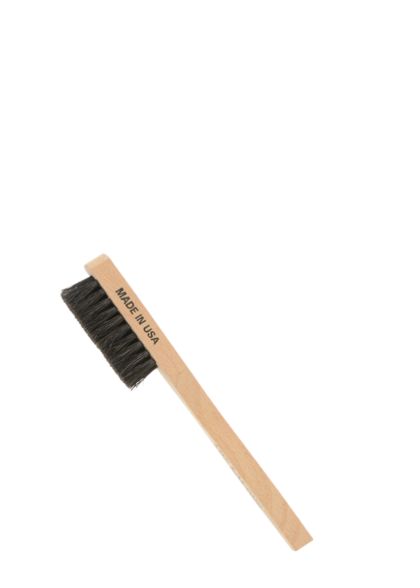 Apply Stain Solution directly to the stain and work into the fabric using your finger or the Stain Brush. Focus on susceptible areas such as the inner lining, sleeves, collar, pockets, and hem. 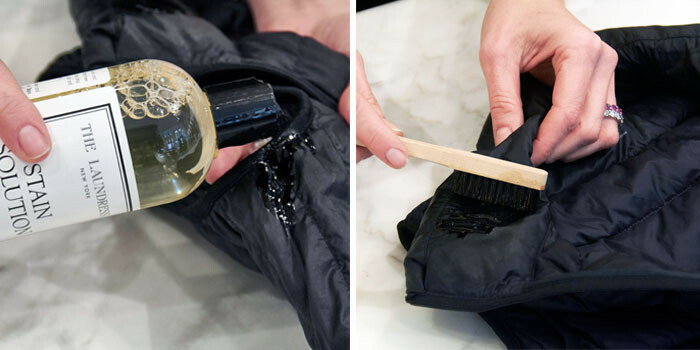 When you can't launder the item, such as a nonwashable hood, jacket, fur trim, leather, and "dry clean only" items, spot treat using the The Wash & Stain Bar. 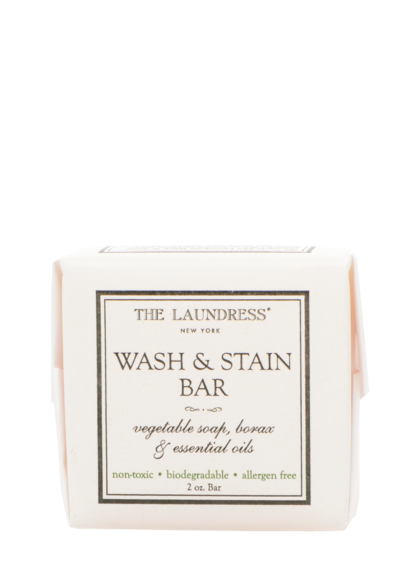 Wet the bar with cool water and gently work a lather into the stain. 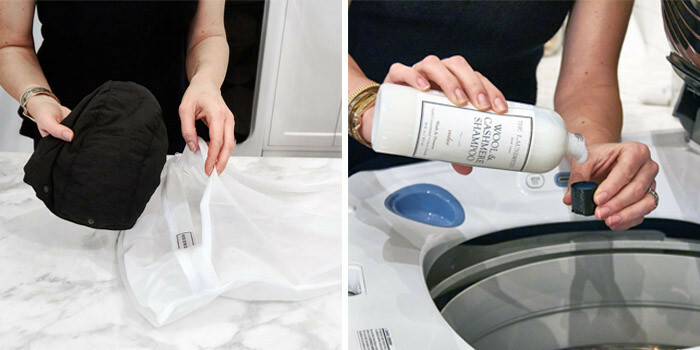 Wipe the area clean with a damp Lint-Free Cleaning Cloth. 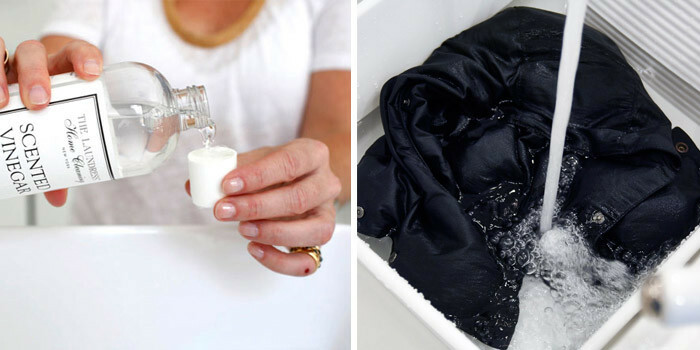 To remove strong odors such as smoke, body oils, mildew, and more, soak your jacket with ¼ cup of Scented Vinegar and cool water for 30 minutes. 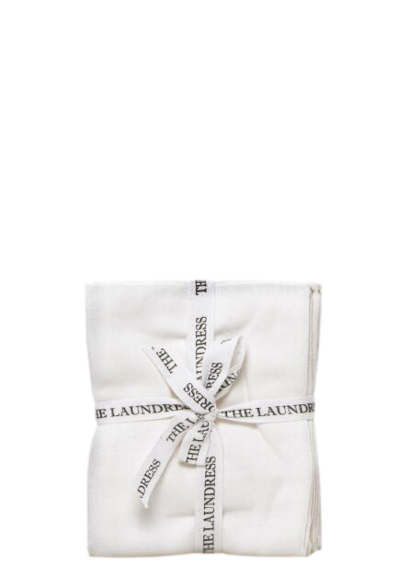 Place detachable washable pieces like faux fur lining and hoods inside a Mesh Washing Bag to protect. 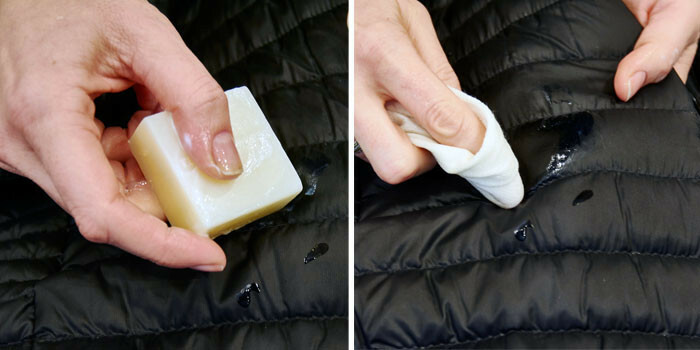 Turn your coat inside out and drop into the washing machine drum. 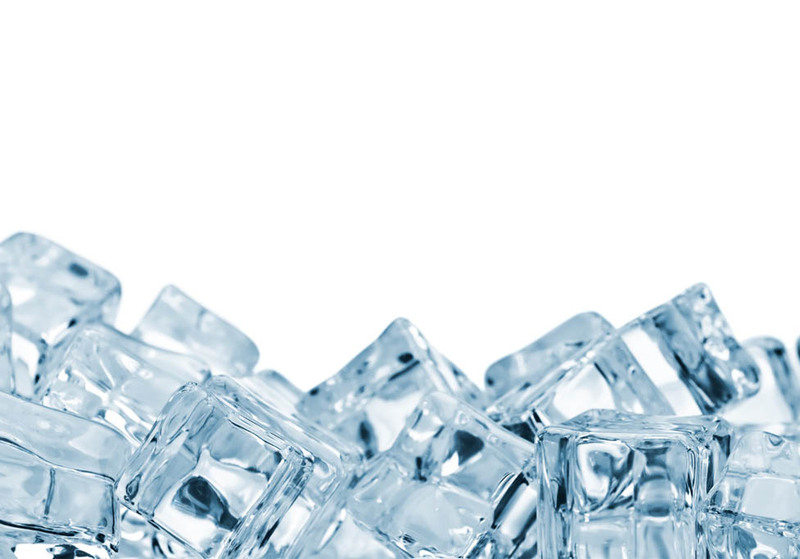 Select the woolens or delicate cycle on the washing machine and use warm or cool water. 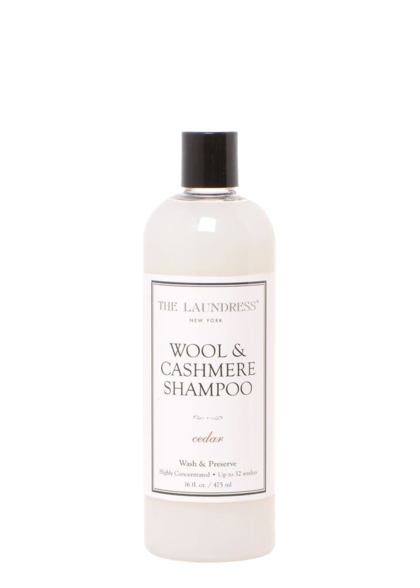 Add the appropriate amount of Wool & Cashmere Shampoo according to the machine and load size. This is usually just a few capfuls! We recommend drying down and fiberfill on the low heat and low tumble cycle, and repeating the drying cycle until ALL moisture is gone. 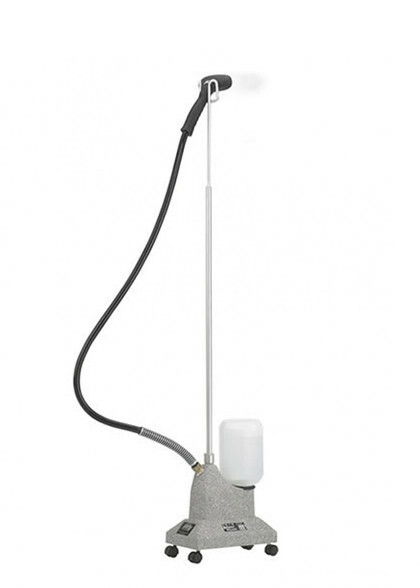 Add dryer balls or clean tennis balls to help redistribute and fluff up feathers and filling after washing. Halfway through the dryer cycle, remove the item and give it a good shake to redistribute feathers. 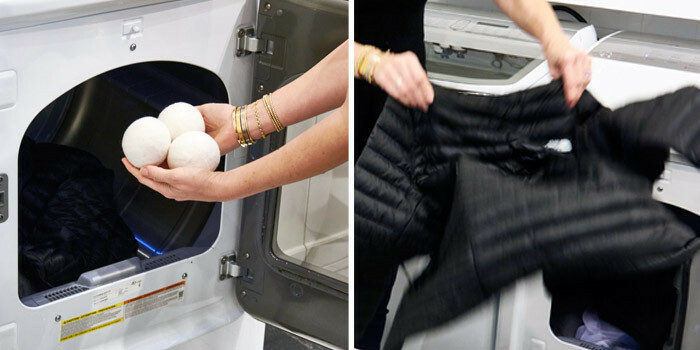 Move around any remaining clumps with your hand before adding back to the dryer. Make sure large down coats are fully dried to prevent mildew. 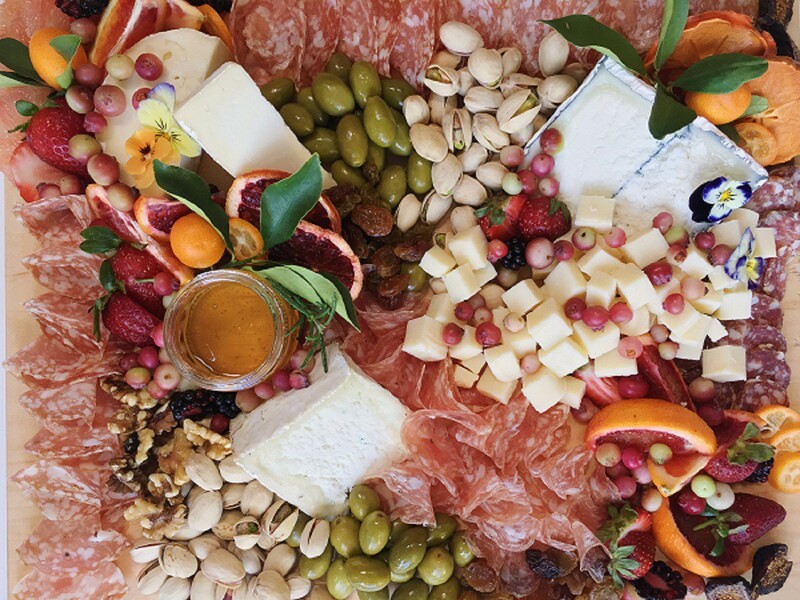 If the filling still clumps together, excess water is present. While you shouldn’t iron winter coats (and never use starch), we recommend steaming with the Jiffy Steamer to remove wrinkles, eliminate odors, and help reduce allergens. 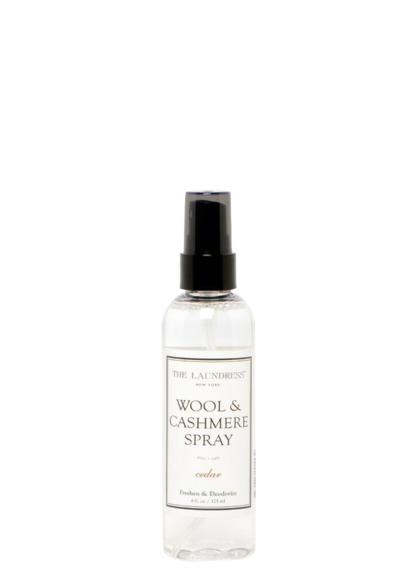 To freshen between wearing and washing, spritz your item with the Wool & Cashmere Spray. 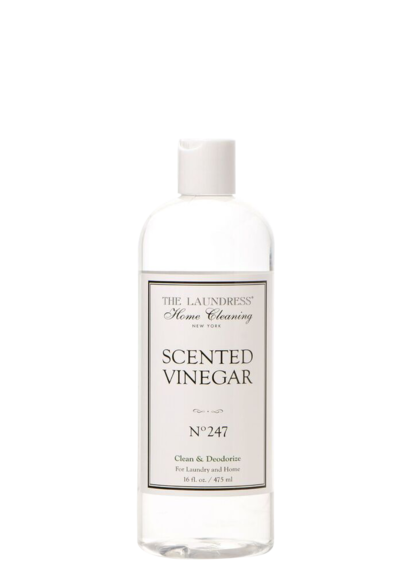 The antibacterial properties add scent while removing odors. 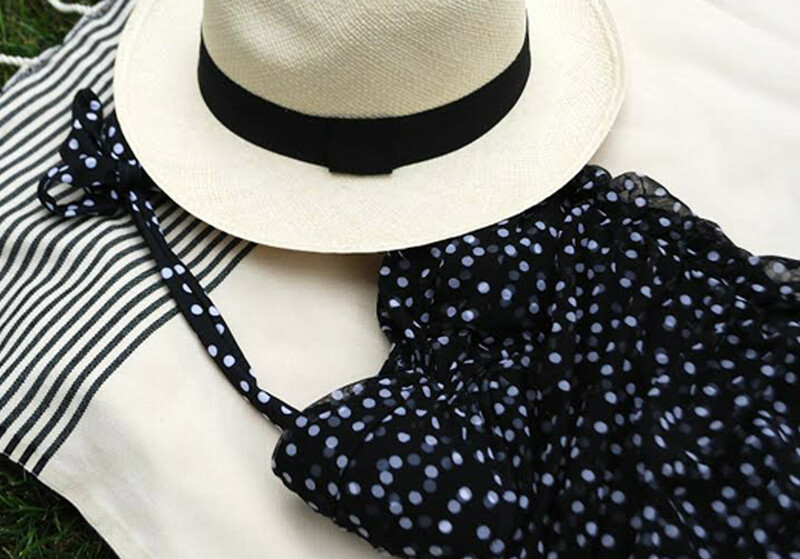 Outerwear should always be stored clean in a dry place. Attics and basements are not ideal as they are optimal environments for moth breeding attacks, mold and mildew. 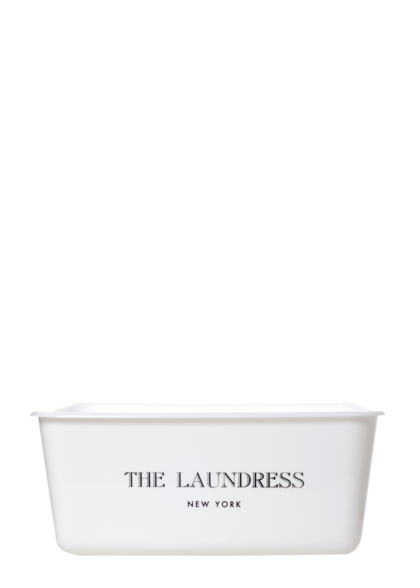 Do not store in plastic as this traps moisture and causes yellowing. 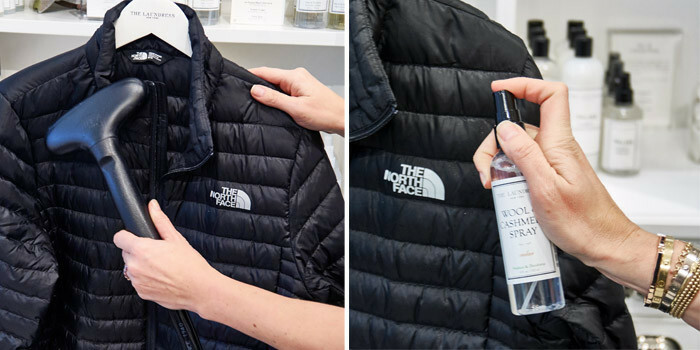 Instead, spray outerwear with Wool & Cashmere Spray and place inside a breathable, cotton Storage Bag. For more tips on long-term storage, click here!